Jakie są zasady na pokładzie? Wiekszosc armatorow twierdzi, ze wakacje zaczynaja sie od momentu wejscia na poklad. W swojej ofercie mamy rejsy luksusowymi statkami, krotkie przejazdy miedzy wyspami oraz super szybkie polaczenia wodolotem. Kliknij na nazwe statku ponizej, aby zobaczyc nasz przewodnik. Jezeli statku nie ma na liscie oznacza to ze nie mamy w tej chwili informacji na ten temat. Sprawdzaj na biezaco, gdyz nadal uaktualniamy dane. Blue Star Naxos z Blue Star Ferries. Bencomo Express & Bentago Express z Fred Olsen Express. Nissos Mykonos z Hellenic Seaways. Express Pegasus & Flyingcat z Hellenic Seaways. Flying Dolphins z Hellenic Seaways. Martin i Soler z Balearia. Jaume I, Jaume II, Jaume III & Martin i Soler z Balearia. Almudaina Dos z Trasmediterranea. Ciudad de Mahón & Vronskiy z Trasmediterranea. Bithia & Janas z Tirrenia. Diagoras z Blue Star Ferries. Blue Star Naxos & Diagoras z Blue Star Ferries. Cruise Barcelona & Cruise Roma z Grimaldi Lines. Excellent, Fantastic & Splendid z Grandi Navi Veloci. Audacia, Forza, Superfast I & Superfast II z Anek Superfast. Bari z Ventouris Ferries. Audacia, Forza, Superfast I & Superfast II z Anek Superfast. Elli T & Ionian Queen z Endeavor Lines. Catania & Euroferry Olympia z Grimaldi Lines. Catania & Euroferry Olympia z Grimaldi Lines. Elli T & Ionian Queen z Endeavor Lines. Elli T & Ionian Queen z Endeavor Lines. Euroferry Olympia z Grimaldi Lines. 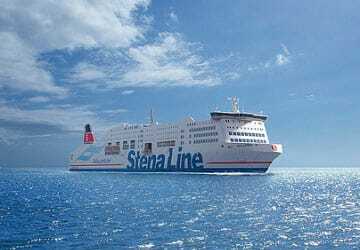 Superfast VII & Superfast VIII z Stena Line. Moby Giraglia z Moby Lines. Alborán & Milenium Dos z Trasmediterranea. Avemar Dos, Jaume I, Jaume II & Jaume III z Balearia. Blue Star Patmos z Blue Star Ferries. 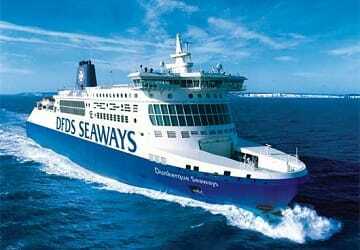 Ariadne z Hellenic Seaways. Apollon Hellas, Express Pegasus, Express Skiathos & Flyingcat z Hellenic Seaways. Express Pegasus, Express Skiathos & Flyingcat z Hellenic Seaways. Jaume I, Jaume II, Jaume III & Levante z Balearia. 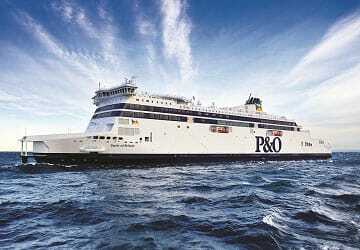 Pride of Burgundy, Pride of Canterbury, Pride of Kent, Spirit of Britain & Spirit of France z P&O Ferries. C Class, Calais Seaways & Malo Seaways z DFDS Seaways. 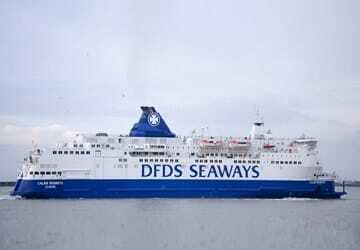 D Class z DFDS Seaways. Bari, Rigel & Rigel II z Ventouris Ferries. Michela z Adria Ferries. Flying Dolphins & Poseidon Hellas z Hellenic Seaways. Flying Dolphins & Flyingcat z Hellenic Seaways. Seajet2 & Superjet z Sea Jets. Seajet2 & Superjet z Sea Jets. Flyingcat z Hellenic Seaways. Seajet2 z Sea Jets. Flyingcat z Hellenic Seaways. Ciudad de Granada & Ciudad de Mahón z Trasmediterranea. Eivissa Jet, Maverick, Maverick Dos, Nixe, Posidonia & Ramon Llull z Balearia. Bahama Mama & Pinar del Rio z Balearia Caribbean. 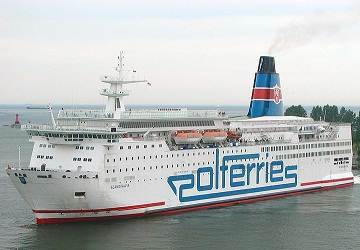 Baltivia & Scandinavia z Polferries. Stena Vision z Stena Line. Moby Wonder z Moby Lines. Moby Otta & Moby Wonder z Moby Lines. Splendid z Grandi Navi Veloci. Bithia & Janas z Tirrenia. Rhapsody z Grandi Navi Veloci. Moby Drea z Moby Lines. Athara & Sharden z Tirrenia. Excellent, Fantastic, La Superba, La Suprema & Splendid z Grandi Navi Veloci. Las Palmas de Gran Canaria & Vronskiy z Trasmediterranea. Apollon Hellas, Express Skiathos & Flyingcat z Hellenic Seaways. Mega Express Three z Corsica Sardinia Ferries. Stena Danica & Stena Jutlandica z Stena Line. Beetle Jet Ferry z JR Kyushu Beetle Jet Ferry. Festos Palace & Knossos Palace z Minoan Lines. Blue Horizon z Blue Star Ferries. Ben My Chree z Steam Packet. MS Bergensfjord & MS Stavangerfjord z Fjord Line. Superspeed 1 & Superspeed 2 z Color Line. Fjord Cat z Fjord Line. Stena Britannica & Stena Hollandica z Stena Line. Dublin Swift, Epsilon & Ulysses z Irish Ferries. Stena Adventurer & Stena Superfast X z Stena Line. Levante, Martin i Soler & Visemar One z Balearia. Adriatico, Ciudad Autonoma Melilla, Ciudad de Mahón, Juan J Sister & Tenacia z Trasmediterranea. Garcia Lorca, Passio per Formentera & Ramon Llull z Balearia. Daniya, Garcia Lorca & Passio per Formentera z Balearia. Cruise Europa & Cruise Olympia z Minoan Lines. Forza & Superfast XI z Anek Superfast. Hellenic Spirit z Anek Lines. Forza & Olympic Champion z Anek Superfast. Monte d’Oro z Corsica Linea. Corsica Victoria & Mega Smeralda z Corsica Sardinia Ferries. Highspeed z Hellenic Seaways. Tera Jet z Sea Jets. Seajet2, Superjet & Tera Jet z Sea Jets. Blue Star Paros z Blue Star Ferries. Highspeed z Hellenic Seaways. Seajet2, Superjet & Tera Jet z Sea Jets. Highspeed z Hellenic Seaways. Blue Star Delos & Blue Star Paros z Blue Star Ferries. Blue Star Delos & Blue Star Paros z Blue Star Ferries. Highspeed z Hellenic Seaways. Superjet z Sea Jets. Blue Star Delos z Blue Star Ferries. Highspeed z Hellenic Seaways. Seajet2 z Sea Jets. Blue Star Paros z Blue Star Ferries. Seajet2, Superjet & Tera Jet z Sea Jets. Highspeed z Hellenic Seaways. Blue Star Delos z Blue Star Ferries. Blue Star Naxos z Blue Star Ferries. Flyingcat z Hellenic Seaways. Flyingcat z Hellenic Seaways. Blue Star Naxos z Blue Star Ferries. Commodore Clipper & Condor Rapide z Condor Ferries. Albayzin & Ciudad de Granada z Trasmediterranea. Blue Star Naxos z Blue Star Ferries. Superjet z Sea Jets. Highspeed z Hellenic Seaways. Blue Star 1 z Blue Star Ferries. Blue Star 1 & Blue Star Naxos z Blue Star Ferries. Seajet2 z Sea Jets. Highspeed z Hellenic Seaways. Stena Germanica, Stena Scandinavica & Stena Spirit z Stena Line. Blue Star 1, Blue Star 2 & Diagoras z Blue Star Ferries. Blue Star 2 z Blue Star Ferries. Highspeed z Hellenic Seaways. Blue Star Naxos z Blue Star Ferries. Seajet2 z Sea Jets. Blue Star Naxos z Blue Star Ferries. Seajet2 z Sea Jets. Highspeed z Hellenic Seaways. 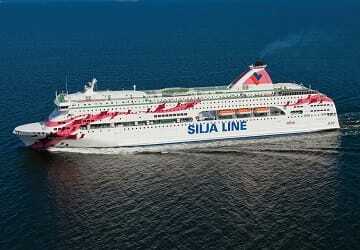 Galaxy z Tallink Silja. Amorella & Viking Grace z Viking Line. 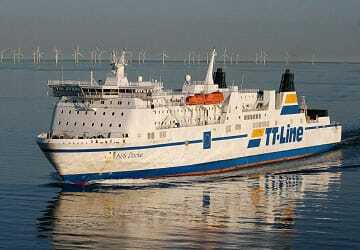 Amorella z Viking Line. Galaxy z Tallink Silja. European Causeway & European Highlander z P&O Irish Sea. Superspeed 1 & Superspeed 2 z Color Line. Blue Star 1 & Diagoras z Blue Star Ferries. Stena Flavia z Stena Line. Stena Lagan & Stena Mersey z Stena Line. European Endeavour, Norbank & Norbay z P&O Irish Sea. Moby Vincent z Moby Lines. Corsica Marina, Mega Express Two, Sardinia Regina & Sardinia Vera z Corsica Sardinia Ferries. Benchijigua Express z Fred Olsen Express. Adriatico, Almariya, Ciudad de Mahón & Juan J Sister z Trasmediterranea. Ciudad de Granada, Ciudad de Mahón & Forza z Trasmediterranea. Ciudad Autonoma Melilla & Juan J Sister z Trasmediterranea. Gabriella & Mariella z Viking Line. Silja Serenade & Silja Symphony z Tallink Silja. Baltic Queen, Silja Serenade, Silja Symphony & Victoria I z Tallink Silja. Amorella & Cinderella z Viking Line. Baltic Queen z Tallink Silja. Amorella z Viking Line. Baltic Princess z Tallink Silja. Paglia Orba z Corsica Linea. Pascal Paoli z Corsica Linea. Ciudad Autonoma Melilla, Ciudad de Granada & Juan J Sister z Trasmediterranea. Flyingcat & Poseidon Hellas z Hellenic Seaways. Prevelis z Anek Lines. Superjet z Sea Jets. Flyingcat z Hellenic Seaways. Prevelis z Anek Lines. Superjet z Sea Jets. Bonanza Express z Fred Olsen Express. Theologos P z Cyclades Fast Ferries. Highspeed z Hellenic Seaways. Superjet & Tera Jet z Sea Jets. Champion Jet 1, Seajet2, Superjet & Tera Jet z Sea Jets. Flyingcat & Highspeed z Hellenic Seaways. Blue Star Paros z Blue Star Ferries. Blue Star Paros z Blue Star Ferries. Seajet2 & Superjet z Sea Jets. Flyingcat & Highspeed z Hellenic Seaways. Blue Star Paros z Blue Star Ferries. Highspeed & Nissos Mykonos z Hellenic Seaways. Champion Jet 1 & Superjet z Sea Jets. Seajet2 z Sea Jets. Blue Star Paros z Blue Star Ferries. Highspeed & Nissos Mykonos z Hellenic Seaways. Champion Jet 1, Seajet2, Superjet & Tera Jet z Sea Jets. Highspeed z Hellenic Seaways. Flyingcat z Hellenic Seaways. Blue Star Paros z Blue Star Ferries. Theologos P z Cyclades Fast Ferries. Seajet2 z Sea Jets. Ariadne z Hellenic Seaways. Blue Star Patmos z Blue Star Ferries. Alcántara Dos, Almariya, Almudaina Dos, Juan J Sister & Las Palmas de Gran Canaria z Trasmediterranea. Fantastic & Majestic z Grandi Navi Veloci. Superjet & Tera Jet z Sea Jets. Highspeed z Hellenic Seaways. Blue Star Delos, Blue Star Naxos & Blue Star Paros z Blue Star Ferries. Seajet2 & Superjet z Sea Jets. Flyingcat & Highspeed z Hellenic Seaways. Highspeed z Hellenic Seaways. Champion Jet 1 & Superjet z Sea Jets. Blue Star Delos & Blue Star Naxos z Blue Star Ferries. Florio & Rubattino z Tirrenia. GNV Atlas, GNV Cristal & Rhapsody z Grandi Navi Veloci. King Seaways & Princess Seaways z DFDS Seaways. Côte d'Albâtre & Seven Sisters z DFDS Seaways. Mega Express z Corsica Sardinia Ferries. Mega Express Five & Mega Express Four z Corsica Sardinia Ferries. Moby Corse & Moby Wonder z Moby Lines. Bithia, Janas & Nuraghes z Tirrenia. Moby Aki, Moby Otta & Moby Tommy z Moby Lines. Zeus Palace z Grimaldi Lines. 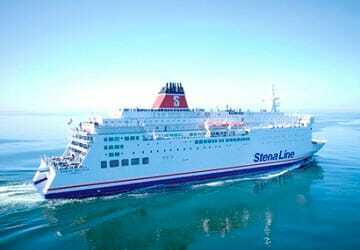 Stena Saga z Stena Line. Color Fantasy & Color Magic z Color Line. Crown Seaways & Pearl Seaways z DFDS Seaways. Fantastic z Grandi Navi Veloci. Excellent, Excelsior, La Superba & La Suprema z Grandi Navi Veloci. Zeus Palace z Grimaldi Lines. Excelsior & Fantastic z Grandi Navi Veloci. Ciudad Autonoma Melilla, Ciudad de Mahón & Tenacia z Trasmediterranea. Abel Matutes & Visemar One z Balearia. Ciudad Autonoma Melilla, Ciudad de Mahón & Forza z Trasmediterranea. Abel Matutes, Garcia Lorca, Passio per Formentera & Visemar One z Balearia. Albayzin, Ciudad de Granada & Forza z Trasmediterranea. Abel Matutes & Visemar One z Balearia. Highspeed z Hellenic Seaways. Superjet z Sea Jets. Flying Dolphins, Highspeed & Poseidon Hellas z Hellenic Seaways. Seajet2 z Sea Jets. Blue Star Delos & Blue Star Naxos z Blue Star Ferries. Blue Star Delos & Blue Star Naxos z Blue Star Ferries. Artemis z Hellenic Seaways. Cruise Europa & Cruise Olympia z Minoan Lines. Forza, Olympic Champion & Superfast XI z Anek Superfast. Hellenic Spirit z Anek Lines. Moby Tommy z Moby Lines. Bocayna Express z Fred Olsen Express. Condor Liberation z Condor Ferries. Jean Nicoli z Corsica Linea. Moby Ale z Moby Lines. Acciarello z Blu Navy. Baie de Seine & Cap Finistère z Brittany Ferries. Mont St Michel, Normandie & Normandie Express z Brittany Ferries. Normandie Express z Brittany Ferries. Commodore Clipper z Condor Ferries. Commodore Clipper z Condor Ferries. Baie de Seine & Etretat z Brittany Ferries. Norman Voyager z DFDS Seaways. Blue Star Paros z Blue Star Ferries. Theologos P z Cyclades Fast Ferries. Flyingcat z Hellenic Seaways. Seajet2 z Sea Jets. Blue Star Paros z Blue Star Ferries. Flyingcat z Hellenic Seaways. Superjet z Sea Jets. Seajet2 z Sea Jets. Flyingcat z Hellenic Seaways. Blue Star Paros z Blue Star Ferries. Theologos P z Cyclades Fast Ferries. Seajet2 z Sea Jets. Flyingcat z Hellenic Seaways. Blue Star 1, Blue Star 2 & Diagoras z Blue Star Ferries. Prevelis z Anek Lines. Blue Star 2 z Blue Star Ferries. Prevelis z Anek Lines. Pont Aven z Brittany Ferries. Armorique & Pont Aven z Brittany Ferries. Oscar Wilde z Irish Ferries. Stena Horizon z Stena Line. Stena Europe z Stena Line. Isle of Inishmore z Irish Ferries. Huckleberry Finn & Tom Sawyer z TT Line. Mecklenburg Vorpommern & Skåne z Stena Line. Pride of Hull & Pride of Rotterdam z P&O Ferries. San Frangisk & San Pawl z Venezia Lines. Isabelle & Romantika z Tallink Silja. Zeus Palace z Grimaldi Lines. Elli T & Ionian Queen z Endeavor Lines. Ciudad de Granada z Trasmediterranea. Moby Bastia & Moby Giraglia z Moby Lines. Cap Finistère & Etretat z Brittany Ferries. Mega Express Two z Corsica Sardinia Ferries. Blue Star 1, Blue Star Delos, Blue Star Naxos & Blue Star Paros z Blue Star Ferries. Highspeed & Nissos Mykonos z Hellenic Seaways. Seajet2 z Sea Jets. Regina della Pace z Blueline. Marko Polo z Jadrolinija. Condor Rapide z Condor Ferries. Marko Polo z Jadrolinija. Regina della Pace z Blueline. Color Viking z Color Line. MS Oslofjord z Fjord Line. Nils Dacke z TT Line. Baltic Queen & Victoria I z Tallink Silja. Megastar, Silja Europa & Tallink Star z Tallink Silja. Viking Xprs z Viking Line. 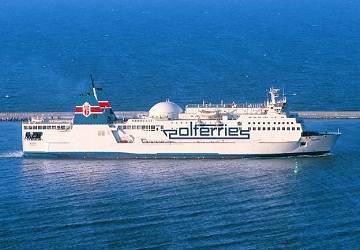 Finlandia z Eckerö Line. Alhucemas z Balearia. Alborán, Ciudad de Malaga & Las Palmas de Gran Canaria z Trasmediterranea. Excellent, Fantastic, Majestic & Splendid z Grandi Navi Veloci. Fantastic, Majestic & Splendid z Grandi Navi Veloci. Isola Di Capraia z Tirrenia. Megajet, Superjet & Tera Jet z Sea Jets. Highspeed z Hellenic Seaways. Prevelis z Anek Lines. Champion Jet 1, Seajet2, Superjet & Tera Jet z Sea Jets. Highspeed z Hellenic Seaways. Blue Star Delos & Blue Star Naxos z Blue Star Ferries. Blue Star Delos & Blue Star Naxos z Blue Star Ferries. Highspeed z Hellenic Seaways. Superjet z Sea Jets. Prevelis z Anek Lines. Highspeed z Hellenic Seaways. Champion Jet 1 & Superjet z Sea Jets. Blue Star 2, Blue Star Delos & Blue Star Naxos z Blue Star Ferries. Flyingcat z Hellenic Seaways. Seajet2 z Sea Jets. Blue Star Paros z Blue Star Ferries. Seajet2 z Sea Jets. Nils Holgersson, Peter Pan & Robin Hood z TT Line. Mega Express, Mega Express Five & Mega Smeralda z Corsica Sardinia Ferries. Mega Express Five, Mega Express Four & Mega Smeralda z Corsica Sardinia Ferries. Mega Express & Mega Express Four z Corsica Sardinia Ferries. Zeus Palace z Grimaldi Lines. Fantastic z Grandi Navi Veloci. Danielle Casanova & Méditerranée z Corsica Linea. Amorella & Viking Grace z Viking Line. Baltic Princess & Galaxy z Tallink Silja. Stena Nautica z Stena Line. Adriatico, Alcántara Dos, Almudaina Dos & Juan J Sister z Trasmediterranea. Abel Matutes & Visemar One z Balearia. Aratere, Kaiarahi & Kaitaki z Interislander. Strait Feronia & Straitsman z Bluebridge. Hellenic Spirit z Anek Lines. Kriti II, Superfast I & Superfast II z Anek Superfast. Prevelis z Anek Lines. 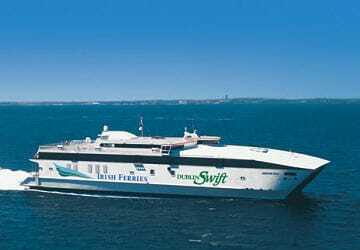 Bari z Ventouris Ferries. Pride of Bruges & Pride of York z P&O Ferries.